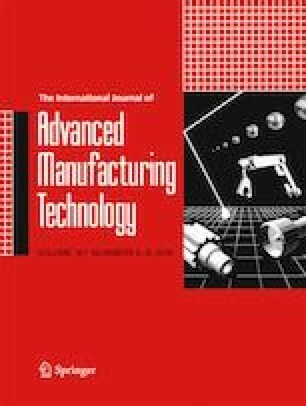 In this paper, a novel toolpath generation approach is proposed for concentric laser metal deposition (LMD) technology, which is an additive manufacturing (AM) process. The toolpaths define the movements to be carried out by the deposition head to manufacture the part through a layer-by-layer construction process. In this way, the characteristics of the generated deposition strategy directly affect the quality of the construction, that could lead to geometric distortions and irreparable defects. This work introduces a toolpath generator that provides several capacities with respect to the previous works: (1) an optimized hybrid deposition strategy that combines contour curves and zigzag filling patterns and ensure a uniform Z growth for each layer by a constant overlap parameter, (2) a multi-axis movement strategy that guarantees the deposition on the previous layer in overhang walls, and (3) a non-planar slicing strategy that adapts the layers to the variable vertical growth in single-bead wall structures with variable inclinations and multi-axis deposition strategy. The effectiveness of the generated toolpaths was proved through the implementation and validation on LMD technologies by the construction of different three-dimensional geometries. The authors wish to acknowledge the support given by IHOBE society and FEDER funds through the Addieco granted project and Addisend project granted by the Basque Government in the Elkartek 2018 program.